The 2015 Chevrolet Silverado 1500 and the 2015 Dodge Ram 1500 are among the nation's top-selling full-size trucks. Both offer powerful engine lineups that create substantial towing and hauling abilities. Shoppers can choose from a wide range of configurations to create the pickup that suits their individual needs. If you're having trouble deciding between these two models, take a look at our four-category comparison. The 2015 Chevrolet Silverado 1500 has the edge when it comes to towing and hauling capabilities, making it our pick for power and performance. The base 4.3-liter V6 engine makes a sizeable 285 horsepower and 305 pound-feet of torque. Depending on configuration, the V6 Silverado can tow between 5,500 and 7,600 pounds. A 5.3-liter V8 engine is standard on the LTZ model and optional for other Silverado 1500s. It produces an impressive 355 horses and 383 pound-feet of torque. Drivers can choose between two- and four-wheel drive. This engine is a great option for anyone who needs to tow substantial loads. With it, a properly equipped Silverado can tow between 6,200 and 11,500 pounds. Finally, the all-out 6.2-liter V8 is available for LTZ and High Country models. Its maximum towing capacity ranges between 9,100 and 12,000 pounds. The 2015 Dodge Ram 1500's entry-level engine is a 3.6-liter V6 that makes 305 horses and 269 pound-feet of torque. The Sport, Laramie, and Laramie Limited models come standard with a 5.7-liter V8 engine that produces 395 horses and 410 pound-feet of torque. Finally, an optional turbocharged 3.0-liter diesel V6 makes 240 horses and 420 pound-feet of torque. With the V8 engine, the Ram 1500 tows its maximum load of 10,650 pounds. The 2015 Chevrolet Silverado 1500's excellent safety scores and wealth of standard equipment make it our pick for safety. In government crash tests, the Silverado came away with a perfect five stars for overall protection. The Insurance Institute for Highway Safety gave the Silverado its top score of "Good." The Silverado's standard OnStar telematics system helps keep drivers safe with a variety of high-tech functions, including roadside assistance and automatic crash notification. Shoppers can choose to add a variety of systems that increase driver vigilance, including lane departure and forward collision warning. The 2015 Dodge Ram 1500 isn't far behind in terms of safety. Models equipped with the available Uconnect Access include an emergency system that dials 9-1-1 at the touch of a button. An available rearview camera helps drivers reverse as safely as possible. Standard hill start assist keeps the Ram from rolling backward at stops. This was almost too close to call, but the 2015 Chevrolet Silverado 1500 pulls ahead with its long list of trim models and body style configurations. All Silverados are offered with either two or four-wheel drive. Shoppers can choose between three body styles: the regular cab, extended Double cab, and crew cab. The regular cab can be had with either the 6.5-foot standard or an 8.2-foot long bed. The Double cab automatically comes with the standard bed. Crew cab drivers can choose between the 5.75-foot short bed and the standard bed. 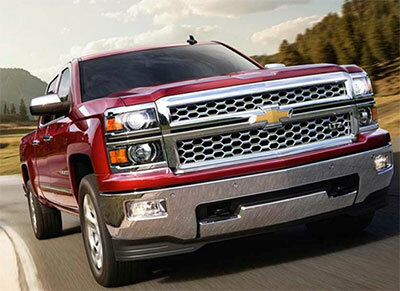 Additionally, the Silverado is offered as six trim models: the WT, LT, LT, LTZ, High Country, and Z71. The 2015 Dodge Ram 1500 is also offered with one of three cabins: regular, extended, and crew. The regular cabin can be paired with a 6.3-foot bed or an 8-foot bed. The Quad cabin comes standard with the 6.3-foot bed. The crew cab can be had with either the 5.6-foot bed or the 6.3-foot bed. Shoppers can choose between six trim models, the Tradesman, Express, HFE, SLT, Sport, and Laramie. The 2015 Chevrolet Silverado 1500 is our pick for comfort and convenience features, thanks to an array of high-tech items. With the LS and up, drivers have access to OnStar's 4G LTE Wi-Fi connection, which turns the Silverado into a mobile hotspot, keeping passengers connected on the go. The MyLink infotainment system keeps drivers informed and passengers entertained. Users can interact with apps via a color touchscreen. The 2015 Dodge Ram 1500 offers many modern conveniences in its higher trim models. Sport drivers can enjoy Uconnect Access technology, which includes smartphone integration and a Wi-Fi connection. The Laramie adds a touch of luxury with ventilated leather front seats. Although these pickups are fierce competitors, the 2015 Chevrolet Silverado 1500 pulls ahead of the 2015 Dodge Ram 1500 in every category. On the road, its powerful engine lineup helps drivers get the job done. Inside, passengers can spread out in comfort and enjoy a wide range of high-tech convenience features. Its high standards in safety keep passengers protected. Finally, shoppers can choose from a variety of configurations to create the Silverado that suits their individual needs.